Set of requirements designed to ensure that all businesses process, store and/or transmit credit card information in a uniformly secure manner. 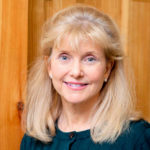 I have been at Heartland, helping clients, since 2006, and I also have more than a decade of experience as a business owner. Interested in meeting with me to discuss how I can help your business prosper? 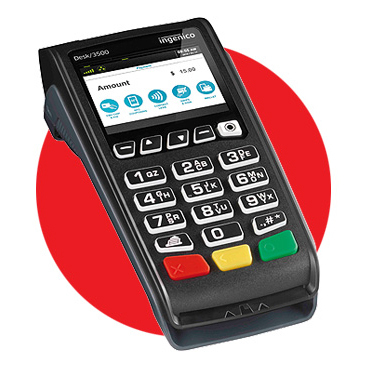 Business owners who prefer a small, dedicated machine that will accept credit and debit cards and contactless payment methods like Apple Pay, can use the Ingenico Desk/3500. We integrate with countless proprietary software solutions, via the Pax S300 or other Heartland-certified secure chip-enabled devices. Heartland processing is one of the largest payment processing companies in the US, but the only one with direct card processing from day one of your enrollment. Heartland offers credit card Processing in-store and online utilizing the most up-to-date technologies, including Europay-MasterCard-Visa (EMV a.k.a Chip Technology), Near Field Communication (NFC), eCommerce, Cloud, and eBilling software. Our solutions are suitable for all industries, including the healthcare, medical, legal and educational fields. We provide the most secure payment processing services, giving you and your business the peace of mind knowing that your customer’s Visa, MasterCard, Discover & American Express information is in good hands. We integrate with Revel, ShopKeep and Quickbooks seamlessly as well as every other major POS. Through a unique technology called “Out-of-Scope,” our systems make your customers information invisible to electronic threats. All of your customer’s personal information is now encrypted safely stored by Heartland. If the rare event that your systems are attacked, your data will be safe with us. EMV (chip) technology makes copying and rewriting your customer’s credit card information extremely difficult. This improved payment technology has been in use in Europe for more than 10 years, and has a proven track record of security and integrity. We offer only one pricing model that is transparent, wholesale pricing with a 3-year price guarantee. Heartland is able to get your business up and running with Apple Pay immediately. Even better, no special merchant agreement is needed to accept Apple Pay. With Apple Pay, token representing the card number is stored on a Secure Element within the iPhone 6 or 6 Plus. When the consumer is ready to pay, that token is sent by way of near field communication (NFC) to the reader for authorization. 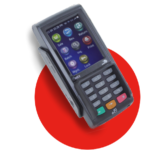 The NFC reader that is attached to the POS system or terminal will send the transaction to Heartland’s preferred processor for authorization. Get everything you need to open your online store and turn shoppers into paying customers—easily, reliably and of course, PCI-compliantly. For businesses that want to get online fast and need a complete turnkey solution, Heartland’s eCommerce for Small Business gives you everything you need to build your own eCommerce website and securely accept credit and debit card payments in less than a day. Build your online store, get the tools you need to manage it, and grow your business using our eCommerce tool kit that keeps your revenue growing and transactions secure. Don’t let your network become a monster. Your network can go from manageable to unmanageable in the blink of an eye. Heartland’s managed network service provides businesses with the tools they need to make sure their network stays online, running and secure. Work smarter, not harder. Allow us to securely link your business to the outside world by providing tools and services to increase your productivity and extract more value from your network investment. Whether you need PCI compliant payment processing, reliable network communications, public Wi-Fi access, or multi-function firewalls, we have the solution.